Sell second hand Lenovo K9 used mobile to potential buyers for online sale / purchase. Do you want to recieve phone calls while offer is made on your deal? Put your Lenovo K9 mobile phone free for sale listing. People will contact you to buy / purchase Lenovo K9 with their offer. Mobile Classifieds / Selling Ads will be shown live within 24 hours after approval from Admin. No commercial advertisement, only put your second hand used K9 handset for sale here. 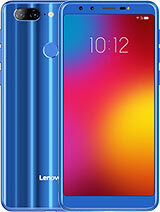 If your mobile brand or model is different from Lenovo K9, please visit that particular mobile model page to put it for sale. (use top search box to search your mobile model).